An especially good account of Collaboration Couple Therapy. 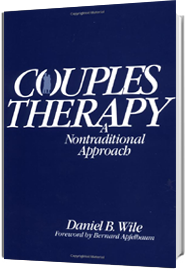 A slightly reorganized version of a chapter published in 2002 in The Clinical Handbook of Couple Therapy 3rd Edition, edited by Alan Gurman and Neil Jacobson. 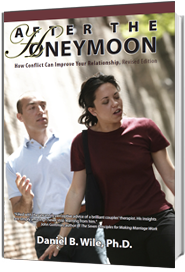 Doubling in Collaborative Couple Therapy: chapter 3 from Solving the Moment: Theory and Method of Collaborative Couple Therapy (in preparation). Doubling is the signature method of this approach. 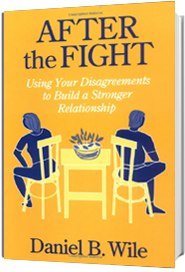 A Delicate Balance: Anger is Just a Sentence Away, and so is Intimacy. The recovery conversation that would enable the couple to profit from the fight they just had. How Conversations Cure: The Shift from Fighting to Collaborating. Ways for a therapist to help create this shift. How to recover from a fight with your partner by creating a metalevel from which to talk about it. In my contribution to a panel discussion, I presented this whirlwind account of the major principles of the approach. Describes how accusatory interpretations have given interpretation a bad name. This article was originally published in 1984 in Psychotherapy: Theory, Research, Practice, and Training, 21(3), 353-364. Describes how certain psychoanalytic beliefs and techniques have outlived the theory that gave rise to them. This article was originally published in 1985 in Psychotherapy: Theory, Research, Practice, and Training, 22(4), 793-802. Describes how clients’ personality traits affect their plan of cure for the psychological problems they have and the type of therapy they seek. This article was originally published in 1975 in Psychotherapy: Theory, Research and Practice, 13(4), 303-307. As part of my reaction to a debate in the American Psychologist, I ask at what point to stop validating a client’s experience and step in to try to produce change. I answer that validating a client’s experience is the way to produce change. "Dan is the most talented and skilled couple's therapist I know. His ability to tune into the real underlying and vulnerable unspoken message is just incredible. I've learned so much from him and I keep learning with every newsletter that I get :-)"